Golden Light at a Fancy party. Doesn’t it look Fancy? 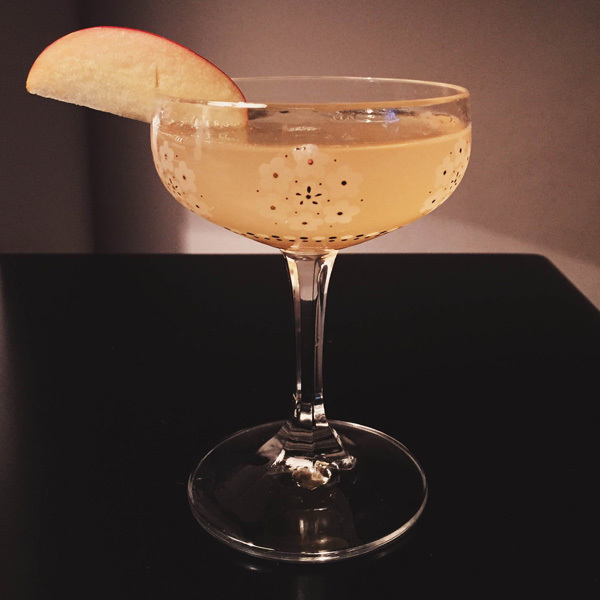 I originally created this drink for Home Bar Girl Presents: A Party several weeks ago but have since realized that I love it as a Brunch or Afternoon cocktail. It’s so fresh and refreshing but still complex! The Celery Bitters and St-Germain work very well with the other mix of flavours. Enjoy! In tin, combine Gin, Apple Brandy, St-Germain, Apple Juice, Lemon Juice and Celery Bitters over ice and shake baby, shake! 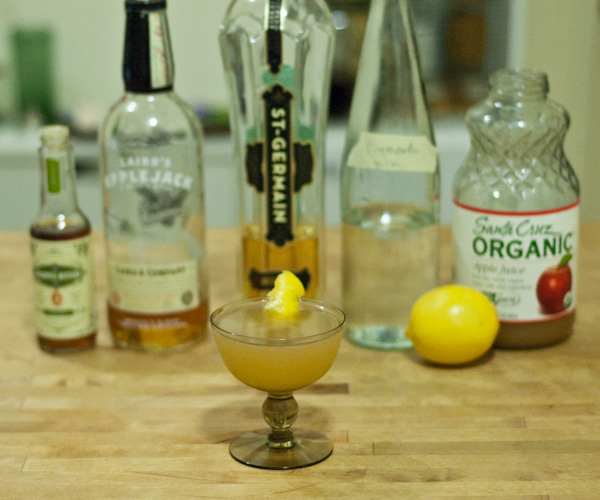 Double strain into coupe and garnish with Apple Slice or Lemon Peel. Cheers! Golden Light at Home. It still looks fancy!